Congressman Ken Buck published an op-ed in the Colorado Statesman and released a video Friday to highlight the ways in which federal laws have exacerbated the water shortage issues experienced in northern Colorado. He specifically highlights the Northern Integrated Supply Project (NISP), an effort to increase water storage in northern Colorado through the creation of a new reservoir. "In Northern Colorado, water is life for farmers and everyone else who lives in the region. 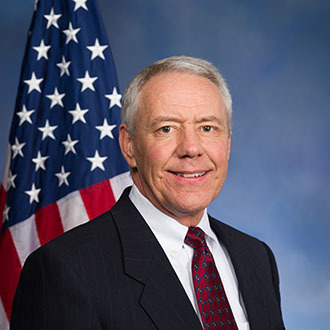 I've watched firsthand as water shortages in Colorado drive farmers and their families to desperation," Congressman Ken Buck stated. "We need to reform federal regulations so that water projects can be completed more quickly and more efficiently." The NISP effort has experienced numerous delays due largely to the National Environmental Policy Act, or NEPA. This federal law is meant to protect the environment during major infrastructure projects, but it ultimately drowns the project in red tape and often causes years of delays as project management conducts study after study to determine the environmental impact. Congressman Buck seeks to reform the approval process for water projects by improving the efficiency of the impact studies, encouraging various agencies to coordinate studies, and overhauling the National Environmental Policy Act.